Preparing ahead is becoming increasingly important for officers aspiring to promotion because selection processes across forces are becoming more challenging. Psychometric and other assessment tests are now becoming a feature of selection processes for promotion to Sergeant and Inspector ranks. This is in addition to the existing application and interview stages. ​These aptitude tests can prolong the overall process, thereby also testing personal resilience and mental toughness! 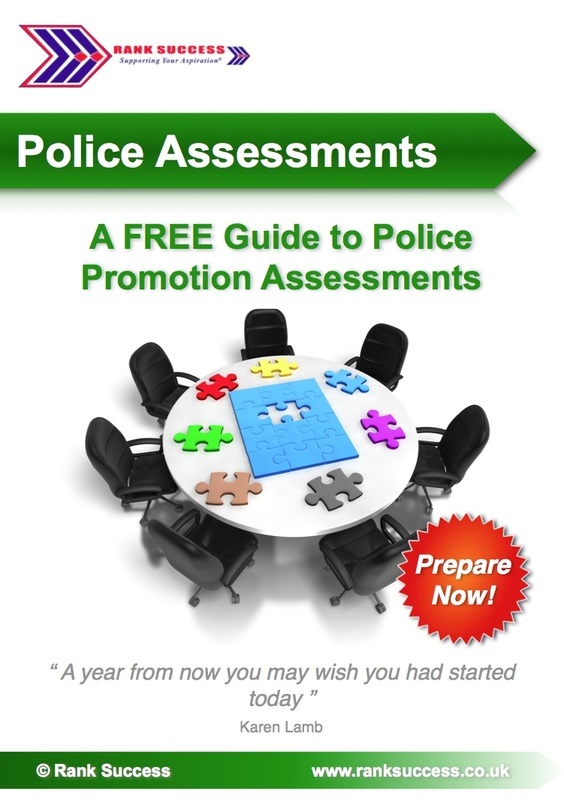 The free guide listed here focuses on the increasingly used assessment tests for police promotion. It also provides signposting and direction to where you can get further help. For example, there are a range of FREE police-specific practice assessment tests for those looking to prepare ahead now. Take a look at my free guide for further information and support with this relatively new approach in the police promotion process.